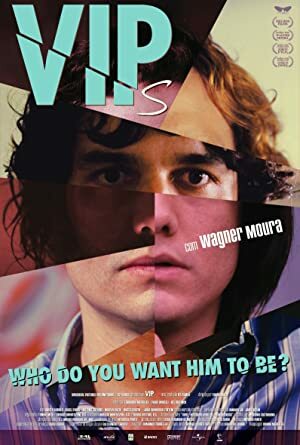 VIPs (2010) – What's New on Netflix Canada Today! Marcelo leaves his family and moves to Mato Grosso do Sul, where he learns how to fly airplanes by himself watching the pilots. One day, he responds the call of a drug dealer and uses his boss’ plane to help the man to transport his cargo. He is hired by the drug lord to work transporting drugs in his airplanes. When he is arrested by the Federal Police, he does not rat his gang and the leader of the cartel gives a large amount of money as a bonus and asks him to leave the gang since he is known by the police. Marcelo uses the money to promote a party in the Carnival of Recife pretending to be the son of the owner of the Gol (a Brazilian air flight company). He lures the high-society, including the television presenter Amaury Jr. Marcelo is arrested again and is sent to prison. During a rebellion, he uses his leadership to present the claims of the prisoners and help to control the situation. The life of a real conman and one of the biggest frauds in Brazil.